How fun! Build lasting friendships. Grow as a person. Children of all sizes and physical abilities can participate and each plays an important role in the success of their team. Players grow physically (coordination, exercise, toughness), mentally (focus, toughness, discipline, teamwork), and emotionally (poise, perseverance, control) through this sport. Our program intentionally emphasizes character development through all practices and games. Our program is open to children ages 6 to 14 (as of July 31) living in the enrollment areas for Interlake HS and Sammamish HS (generally, East Bellevue north of the I-90). Children do not need to attend a school in this area (public, private, or otherwise) so long as they reside in the area. Not sure if you live in this area? Check out the online school finder. Live elsewhere in Bellevue? 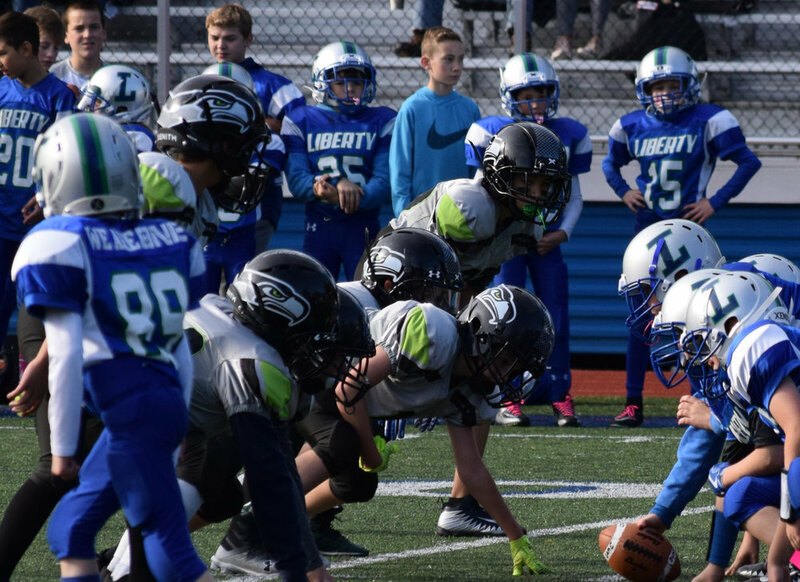 Check out the Newport Jr Knights and the Bellevue Jr Wolverines, the other two youth football programs offered by the Boys & Girls Clubs of Bellevue. What team/level will I be on? The program fee includes the use of all necessary protective equipment, practice and game uniforms, and all other league fees. The only thing you need to provide is footwear (football, soccer, or rugby cleats) and a great attitude. Scholarships, discounts and payments plans are available for all who qualify. Finances will never keep any child from enjoying full participation in our program. Those who register before June 1 receive a $25 discount. All participants must be members of the Boys & Girls Clubs of Bellevue ($27 annual fee).